Connecticut’s premier resort, Mohegan Sun, is one of the largest entertainment, gaming, dining and shopping destinations in the United States. Coyne regularly maximizes regional and national exposure of Mohegan Sun’s diverse offerings by implementing targeted media strategies to support ongoing promotions, various onsite festivals and unique partnerships. Through visiting journalist programs, organic outreach and creative campaigns, we have helped raise Mohegan’s profile as an entertainment destination and ensure the destination remains at the forefront of travelers’ minds throughout the year. To generate awareness for Mohegan Sun’s 20th Anniversary celebration, Coyne proposed creation of a 360 virtual reality (VR) video to truly bring the brand story to life through a unique consumer experience. A five-minute-long VR video was produced showcasing Mohegan Sun’s spectacular property, resort amenities and entertainment venues, bringing the viewers along a real journey, as if they were right there on-property. A month-long celebrity studded celebration plan was engaged to support the entertainment messaging, with an A-list headline performance scheduled every week and a special focus on the actual anniversary VIP weekend. Mohegan Sun’s annual Sun Wine & Food Fest is an annual foodie festival featuring a packed lineup of celebrity chefs and wine connoisseurs with interactive cooking demonstrations and delicious beverage tastings. 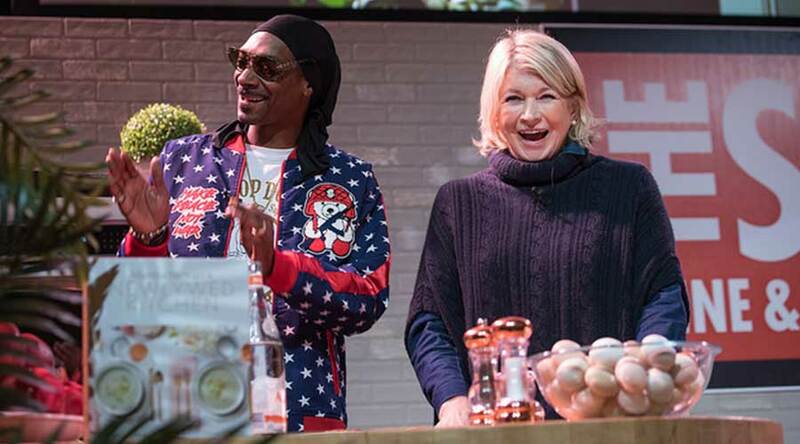 Every year, Sun Wine & Food Fest hosts a Sunday brunch with a special celebrity guest, such as the dynamic duo Martha Stewart and Snoop Dogg. Leveraging these celebrity appearances, Coyne PR secures top-tier coverage in prolific food, lifestyle and entertainment media outlets from the likes of Food & Wine, Bon Appetit and TODAY by securing exclusive sit-down interviews with celebrity guests and utilizing event imagery for unique media opportunities, introducing the festival to a nationwide audience. As the first all-encompassing resort casino outside of Nevada, Resorts Casino Hotel opened in New Jersey on May 26, 1978. To raise awareness Resorts’ 40th anniversary, Coyne PR created and executed a comprehensive media strategy, along with creative consumer activations, generating buzz for the property’s celebratory events and promotions taking place throughout the summer. 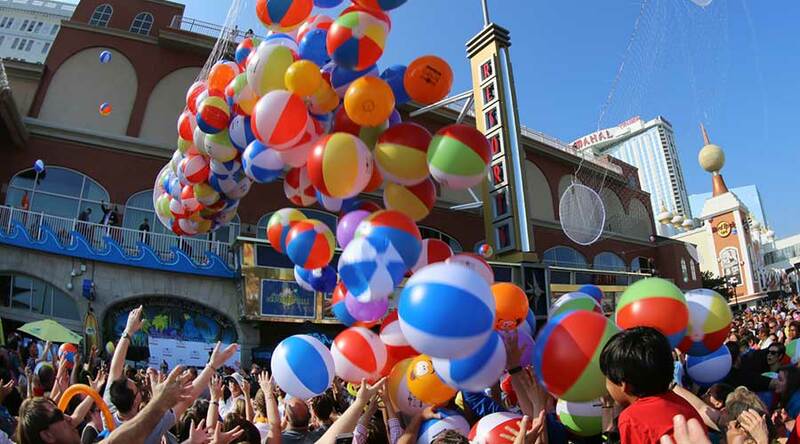 The celebration kicked off Memorial Day Weekend with Resorts’ annual Beach Ball Drop, where thousands of beach balls were released among a crowded boardwalk filled with dedicated fans of the casino resort, and continued with special events such as a reenactment of the first throw of the dice with key New Jersey dignitaries and Resorts executives and a summer-long “Throwback Thursday” happy hour. Through its efforts, Coyne PR generated both regional media and consumer excitement, spotlighting Resorts Casino Hotel as the birthplace of casino gaming in New Jersey. Mohegan Sun’s state-of-the-art all-encompassing Mohegan Sun Arena welcomes some of the best acts in the entertainment business, allowing Coyne PR to capitalize on these headlining shows to further generate buzz for the bustling and highly successful entertainment venue. 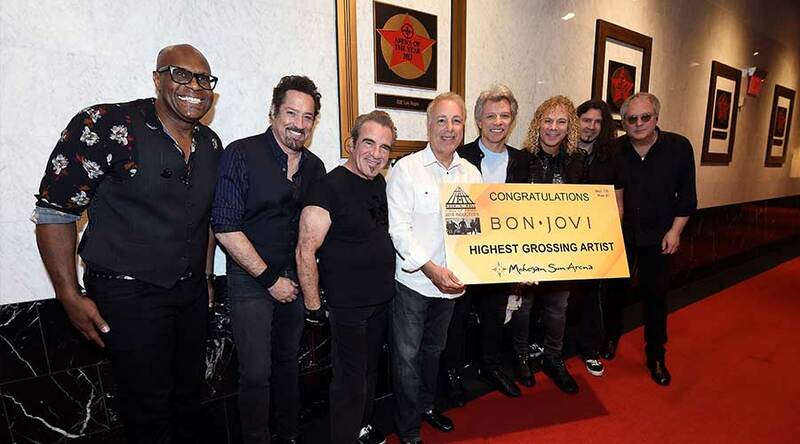 Fresh off the heels of his Rock & Roll Hall of Fame induction, Bon Jovi performed a sold-out show at Mohegan Sun Arena and was celebrated that evening as the highest grossing artist in Mohegan Sun history, helping Mohegan Sun Arena surpass 12 million attendees since its 2001 opening. Coyne PR leveraged Bon Jovi’s appearance and shared behind-the-scenes photos and details of Bon Jovi’s visit to Mohegan Sun with reputable media outlets to generate buzz around future events at Mohegan Sun Arena. To reach a greater audience for the Sun WineFest, Coyne proposed a media plan including tactics to engage national and local food, spirits and lifestyle media from the surrounding markets. A select group of media were offered the opportunity to spend the weekend at the Sun WineFest as a part of an exclusive FAM, with access to the festival’s celebrity chefs and sommeliers, as well as Mohegan Sun’s wide array of restaurant and nightlife experiences. To maximize exposure of Mohegan Sun’s exhilarating and interactive reality star events – the Mohegan Sun Reality Check series – Coyne was tasked with creating buzz in top-tier celebrity-focused and lifestyle media outlets. Coyne continues to raise visibility of Mohegan Sun’s affiliation with some of reality television’s biggest names by inviting media to attend and cover the series’ s signature events, such as the East Coast vs. West Coast Showdown Brunch featuring Bravo TV’s Real Housewives, or even a live Q&A with “The Bachelorette's” Becca Kufrin and Garrett Yrigoyen. Along with the world-class talent that graces its award-winning Arena, Mohegan Sun is a hot spot for a number of pop stars, reality television personalities and master chefs throughout the year. 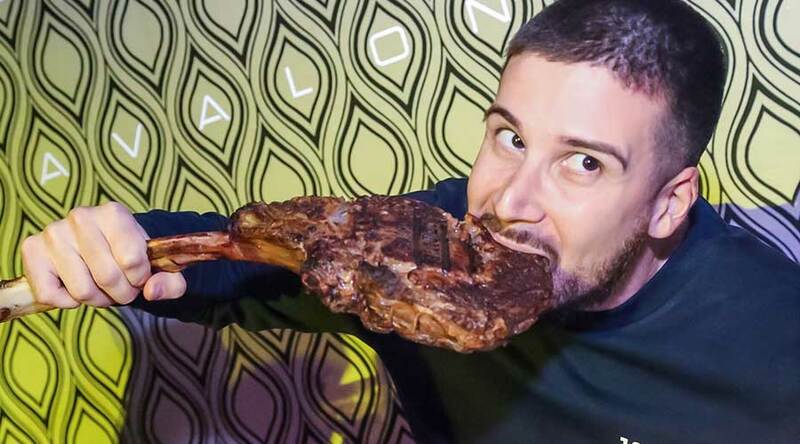 Most recently, Mohegan Sun welcomed Jersey Shore’s Vinny Guadagnino, who is a regular guest of the Connecticut property. In advance of his birthday festivities at the resort, Coyne secured media interviews with Vinny to discuss what draws him back to Mohegan Sun year after year and how he plans to make this next year the best yet. Additionally, Coyne serviced images highlighting his celebration at the property to a number of entertainment and lifestyle media that regularly feature Mohegan Sun’s consistent roster of celebrity appearances.